What constitutes a beneficial ownership? A natural person having 25 percent or more of the equity interests of a legal entity. Why has PrinsBank been asked to collect this information? All financial institutions in the U.S., are required to collect beneficial ownership information. The U.S. government implemented the new beneficial ownership regulation to help fight financial crimes. 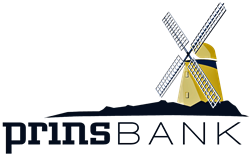 PrinsBank is doing its part in upholding the new regulation to protect the financial system. Compliance with regulations has always been of utmost importance to PrinsBank, and the new beneficial ownership regulation will be treated with the same level of importance. Is PrinsBank the only bank that is required to collect beneficial ownership information? No. ALL financial institutions are required to comply with the new beneficial ownership regulation and will be collecting this beneficial ownership information from applicable customers. The regulation is effective as of May 11, 2018. How will the change impact my existing business accounts? The change should not impact your existing accounts. However, please be aware that PrinsBank may reach out for beneficial ownership information to update your account file, ensuring necessary compliance for any future financial requests. What if the people who have been identified as beneficial owners or control persons are not customers of PrinsBank? You will be required to provide their personal information regardless of customer status. Information about the ultimate beneficial owners and control person must be provided in order to comply with the regulation. · and other information that will help identify those individuals. What is a Certificate of Beneficial Ownership and why is it necessary? The Certification of Beneficial Owner(s) is a legally required form that PrinsBank must collect from legal entity customers regarding their ultimate beneficial owners and the control person. By completing the form, you are attesting that the information provided is accurate to the best of your knowledge. Where will beneficial ownership information be stored? PrinsBank maintains strict privacy policies and procedures. We will maintain all beneficial ownership information in the same manner as a bank customer. Any customer information, including beneficial ownership information, will not be shared. Will the information provided for beneficial ownership be used for marketing to prospects? I also have personal accounts with PrinsBank. Will the bank also collect beneficial ownership information on those accounts?